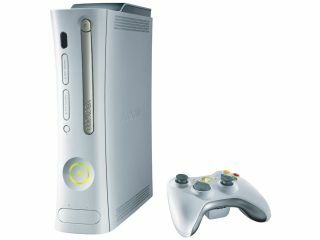 Microsoft has explained the reasons why it took so long to give the Xbox 360 a price cut in the UK. Dan Cornelius, UK marketing manager for Xbox 360 hardware, said that a Christmas sales push was the main incentive. "There is no question in our or retail's minds that a price drop on Xbox 360 at this point in its lifecycle is going to produce a spike in sales," Cornelius wrote for industry magazine MCV. "The Core, which we have dropped to just £179.99, still does very well for us in the UK. It's still a big part of the mix in terms of sales. From a strategic point of view, this price point gives us an entry level that broadens our consumer base. If you look at PS3, it's quite a lot of money for your average family." " Sony is requiring a novice gamer to buy into things like Blu-ray and wireless gaming by default. The 360 Core is about giving people the same experience as our other consoles, but letting them upgrade when they feel comfortable doing so - and not to foot a huge bill for technology they don't need." Cornelius said that 24 August was the date chosen because there will be many games coming out of the 360 in the run-up to Christmas. "There will be over 300 high-definition games available with amazing gaming experiences for everyone," he said, "whether it's Halo 3, Project Gotham Racing 4 or Guitar Hero III and Scene It. And with loads more to come like Rock Band and GTA IV in the New Year, it seems an opportune time in terms of software." He said that the Core console is still selling well in the UK, especially now it's the same price as the Nintendo Wii, and that he expects sales of the Elite to take off too. Read the full piece over at MCV.